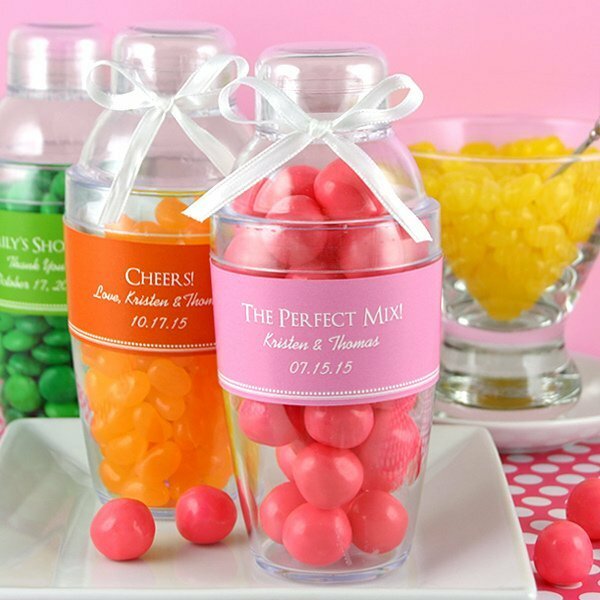 Shake up your special day with this fun Personalized Cocktail Shaker Favor. 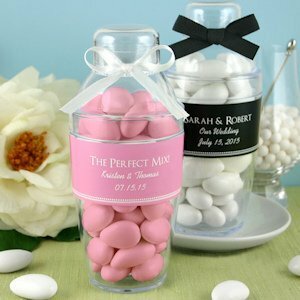 Fill them with individual cocktail mix packets, mints, popcorn, chocolates - the possibilities are endless! 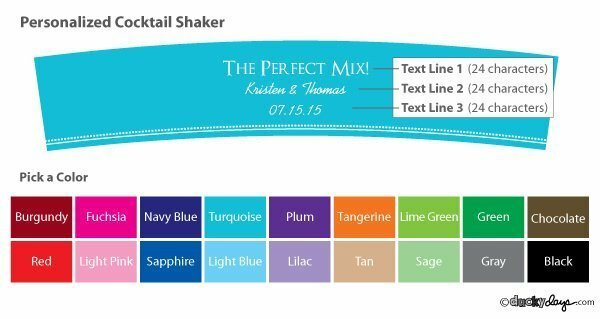 A great take-home gift for your guests, each shaker includes a personalized label in your choice of colors along with 3 lines of text. Three-piece reusable acrylic shaker measures 2.5" wide x 6" high. NOTE: See examples for font design. NOTE: Easy assembly required for you to apply self-adhesive labels. How many ounces would this shaker be considered? The capacity of this Personalized Cocktail Shaker Favor is approximately 13.05 oz. Can we get the shakers with specific colored almonds? I'm sorry, the contents and ribbons shown in the picture are not included. You will only receive three-piece reusable acrylic shaker that measures 2.5" wide x 6" high.